Our company is the foremost in offering Electric Brick Making Machine. We are instrumental in offering Brick Machine to our clients. 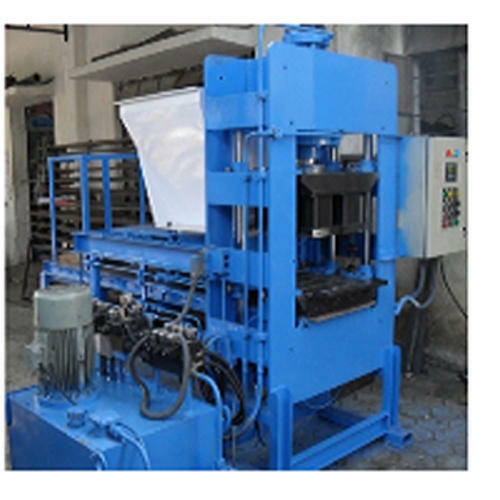 Brick Machine having main cylinder for pressing bricks and die having two cylinders for ejection purpose. Established in the year 2012 at Pune, Maharashtra, we “Technofast Engineering Equipments” are a Partnership based firm, engaged as the foremost Manufacturer and Trader of Transformer Parts, Cutting Machine, Brick Making Machine, etc. Our products are high in demand due to their premium quality, seamless finish, different patterns and affordable prices. Furthermore, we ensure to timely deliver these products to our clients, through this we have gained a huge clients base in the market.